This Drum and Bass masterpiece came out on 12″ back in 1996, a time that many would consider the Golden Age of Jungle. Produced by Doc Scott under his Nasty Habits guise, it was released on his own label, 31 Records. A perfect example of what is known as Tech-step or Dark-step (pioneered by such artists as Nico, Fierce, Ed Rush and Optical) where complicated breakbeats are replaced by more straight forward drum machine made rhythms with the occasional Amen break thrown in. The hoover-like bass-line also serves as the melody and hook. Its sinister and brooding sounds brings a real sense of menace as it slowly fades in over the beats, morphing and growing. 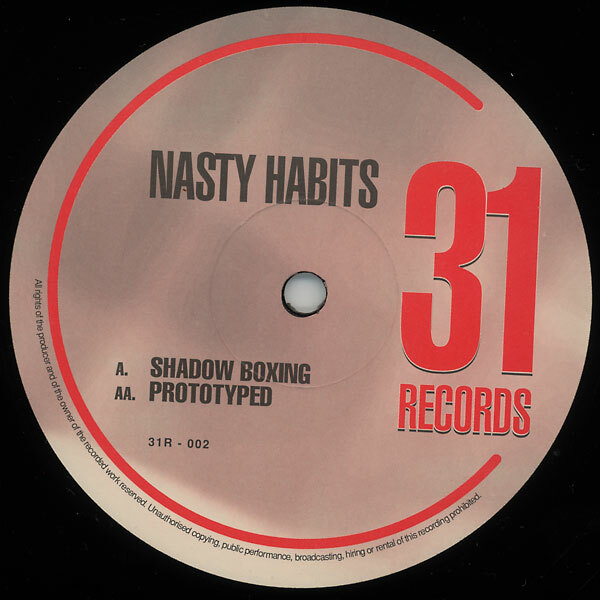 The bass is occasionally punctuated by the occasional stab of fighting sounds taken from old Hong Kong Kung-Fu films, hence the title – Shadow Boxing.